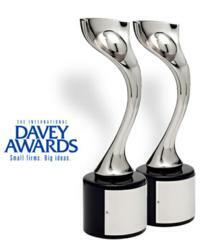 McElroy Films LLC picks up three more Davey Awards for powerful videos produced for Non-profit giants. Our entire team has a commitment to provide our clients with the best possible product while keeping our costs down, It’s always nice to be recognized for our work ethic and I couldn’t be happier with the videos that won this year. Another year... another award-winning set of videos. This year saw a new diversity of videos from training videos for the Boston Fire Department, to book trailers, to hugely successful music videos, but the newest award-winners came from long-time clients of McElroy Films. McElroy Films has won three silver Davey Awards in the Non-profit category for videos produced for Fenway Health, New England Pediatric Care and South Shore Habitat for Humanity. While the quality and production value of all McElroy’s videos are top-notch, the videos produced for these three non-profits were especially powerful in their imagery and message. Fenway Health approached McElroy Films looking for a series of videos that would help them recruit volunteers for vital work in creating a vaccine for HIV. The biggest challenge was dispelling the myths about the vaccine while keeping the videos very personal and McElroy Films delivered with a 12-part series that focuses on the volunteers, researchers, and supporters that have worked the first trials. A series of videos produced for New England Pediatric Care had the same powerful focus. When the South Shore Habitat for Humanity looked to celebrate a milestone 25 years and the building of over 50 homes for families in need, they turned to McElroy Films to commemorate the anniversary. What resulted was a Davey-Award caliber video. For forty years, Fenway Health has been working to make life healthier for the people in our neighborhood, the LGBT community, people living with HIV/AIDS and the broader population. The Fenway Institute at Fenway Health is an interdisciplinary center for research, training, education and policy development focusing on national and international health issues. Fenway’s Sidney Borum Jr. Health Center is dedicated to providing the best quality health care for youth and young adults ages 12 to 29 who may not feel comfortable going anywhere else. New England Pediatric Care (NEPC) is a skilled nursing facility for children from birth to 22 years of age that provides short and long term care along with rehabilitative and educational services. Affiliated with the Floating Hospital for Children at Tufts-Medical Center, NEPC has the capabilities of handling a wide range of medical cases, including children needing more recovery time after a hospital stay to more medically complex cases for children with cognitive delays. NEPC is prepared to take exceptional care of your child when a family needs the most support. South Shore Habitat for Humanity is a faith-based non-profit organization dedicated to delivering simple, decent, affordable homes in partnership with families in need. South Shore Habitat’s service area covers 35 cities and towns south and southwest of Boston where they are celebrating their 25th year as an affiliate of Habitat for Humanity International. With plans to break ground in Norwell within the next few weeks, Habitat is finishing its 51st home in Stoughton where a local family will move into a newly constructed three bedroom home to call their own.